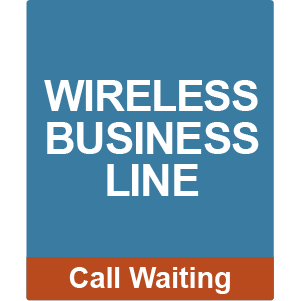 The Wireless Business Line with Call Waiting allows you to receive calls even if you're on the line. It is the perfect No-Contract replacement for your Wireless Business Line that includes features like: Unlimited incoming & nationwide calling, battery back-up, support to 911 and calls to 411. It's easy to set up and you can even keep your number or get a new one. With the Wireless Business Line there is no high speed Internet or phone line required and it's compatible with most existing corded or cordless Business phones -all this for less than 50¢ per day! Costs less than 50¢ per day!